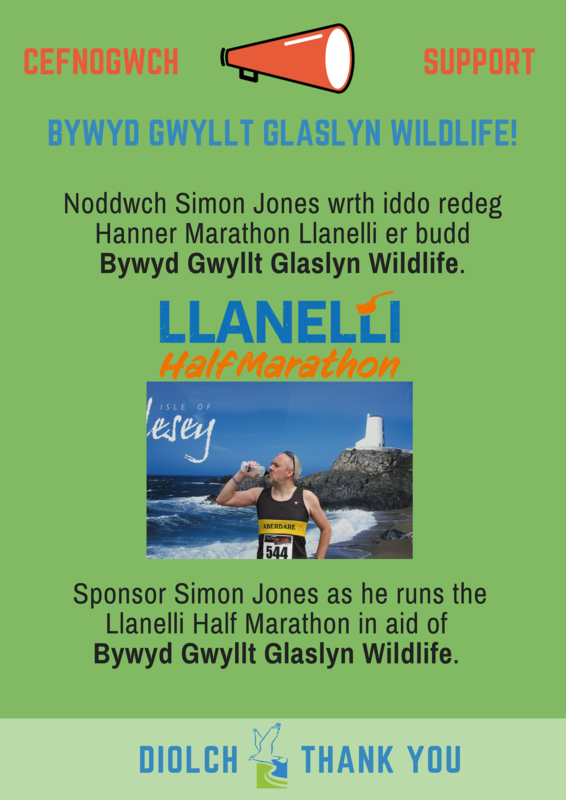 Bywyd Gwyllt Glaslyn Wildlife is very grateful to Simon Jones, solicitor and member of BGGW who will be taking part in the Llanelli Half Marathon on Sunday 10th February to raise sponsorship money for the charity. Thank you, Simon and good luck! If you wish to show Simon your appreciation for completing the race for BGGW, here is how to do it. Thank you in advance for your support, which is key to our continuing existence.